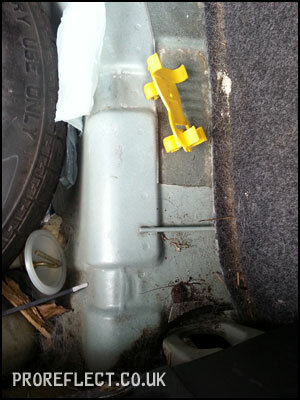 An existing client came to me with a bit of a problem. 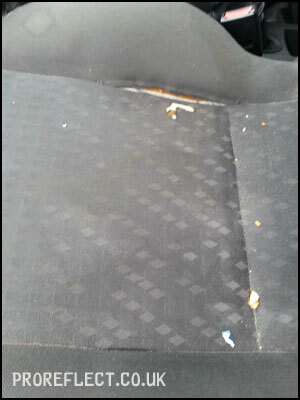 One of his pool cars had a strong smell inside that wasn’t nice for his own clients to endure. 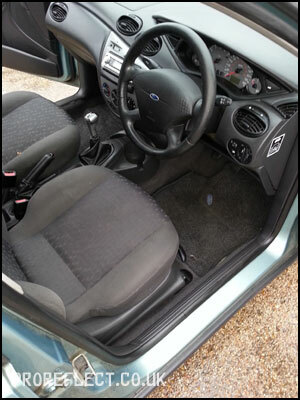 This late 90’s Ford Focus Zetec was booked in for an Interior Detail. My client suspected it to be milk but after close inspection in became clear that it was actually dog. 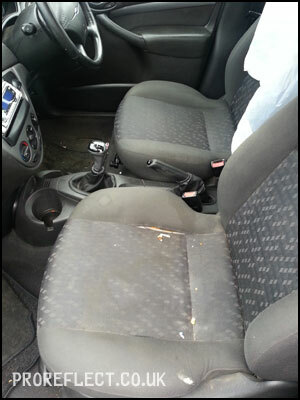 After removing the seat covers the interior was in a bit of state and had seen better days to be honest. 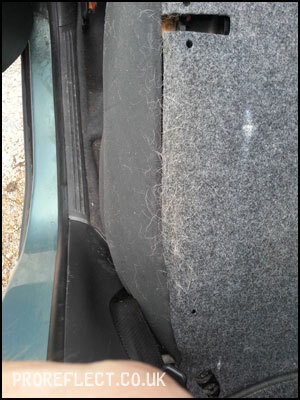 More to the point there was dog hair everywhere especially in the boot. This is what I was met with. Ripped passenger seat hence the seat cover. Bits of trim missing, the dash was thick with grime. 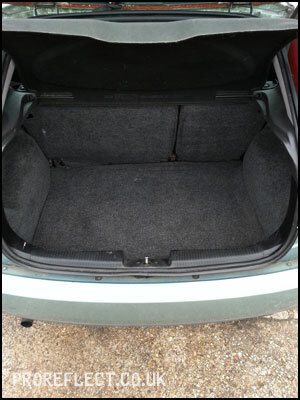 The offending dog hair and underneath the boot carpet, the space saver had been thrown in together lots of pebbles (from a day at the beach I’d imagine). The car was littered with old pens and other waste that I filled a supermarket bag with it all. Yes that is a baby wipe and stuck to it is dog biscuits. 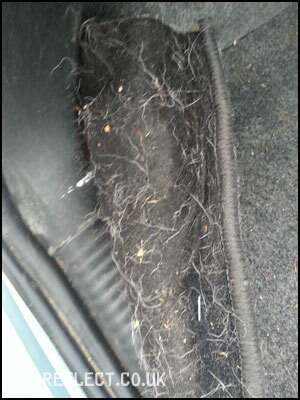 The dog hair was thick and matted to the carpet. 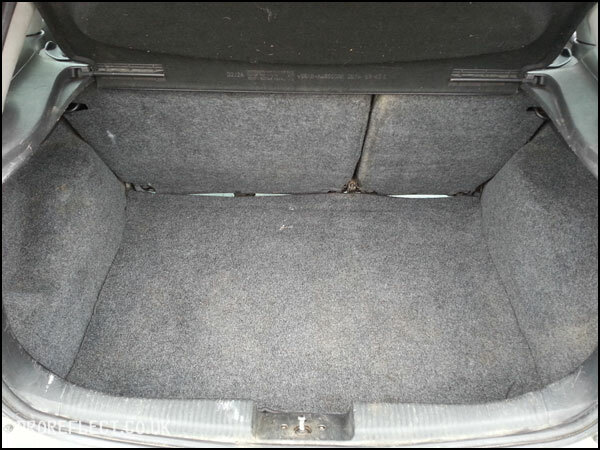 After giving this poor Focus a thorough dry vacuum, along with using various brushes to remove the dog hair from the carpets, I continued to give all the carpet, seats and mats a thorough wet vacuum. 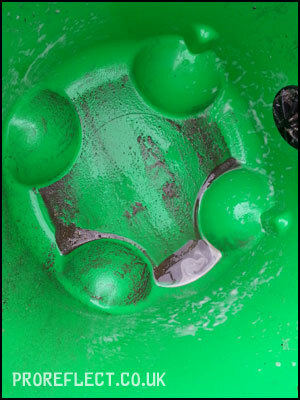 Right hand picture shows the remains of the second full bucket of muck. 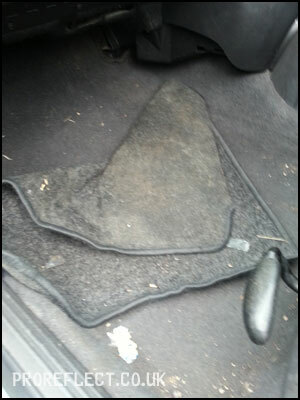 The boot carpet now looking a lot better and smelling better too. 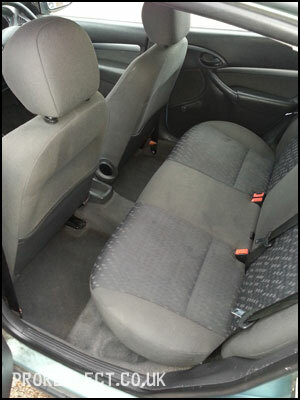 All the interior plastics cleaned with Meguiars All Purpose Cleaner and treated with Autoglym Vinyl and Rubber Care. 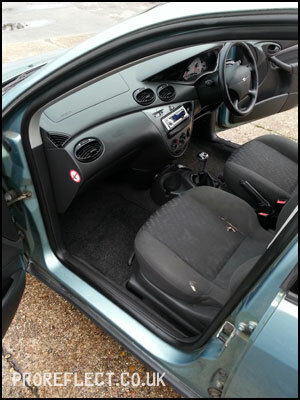 All interior glass including mirrors cleaned with Autoglym Fast Glass. 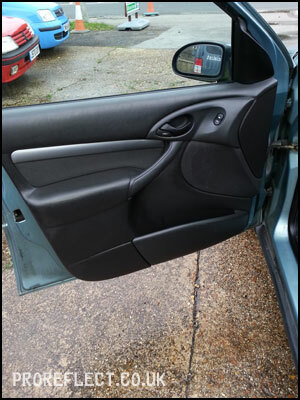 The tired door seals were treated with 1Z Gummi Pflege Stift. All seats were a remarkable improvement. 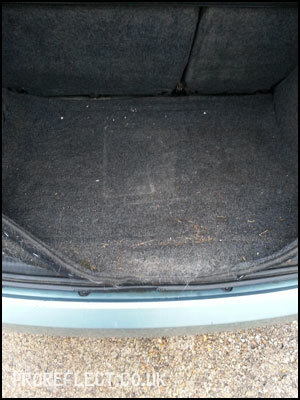 The fabric on the front passenger seat was very worn and I had to leave a couple of marks that seemed more permanent. Sometimes it is best to not go too far and make something that is fragile even worse. 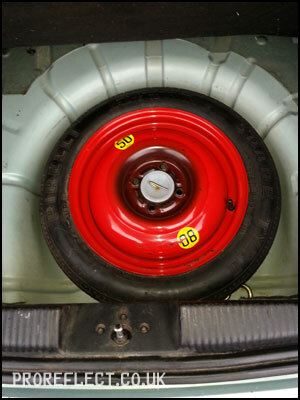 The spare wheel well was left how it should be. The space saver had very little signs of use but was still cleaned. I ended up using a cocktail stick to remove the grit that become lodged in the inner part of the rim. 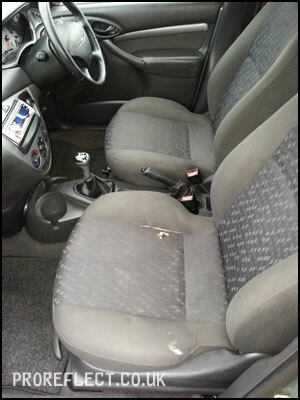 The leather steering was in poor condition and very dirty. 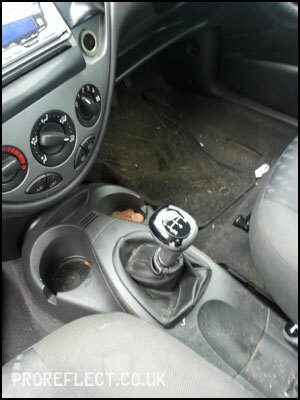 Not all dirt was removed, due to the time scale, but a marked improvement was made. 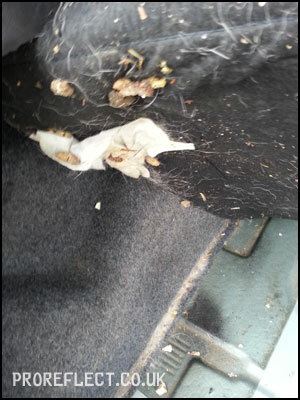 By the end of the detail, there was no longer the dog smell that had plagued the car for so long. Now my client will have happy clients when they take this car home.